Before there was film photography and camera phones, there was collodion printmaking. 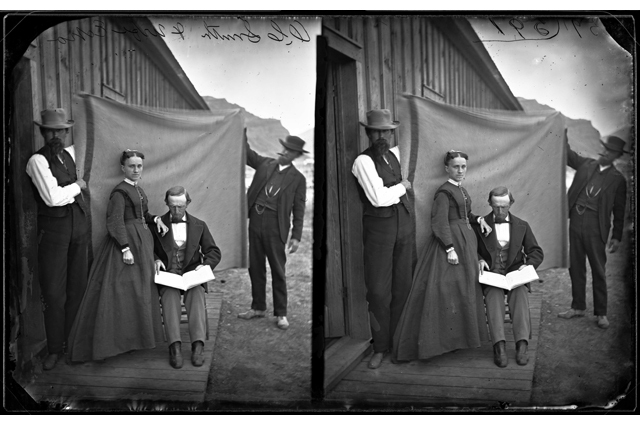 This complex process of capturing a photograph was used by A.J. Russell to document the western expansion of the Transcontinental Railroad, shown in the exhibition Pushing West: The Photography of Andrew J. Russell. Members now have the unique opportunity to experience photography as it was 150 years ago and have portraits taken with the collodion printmaking process. Sign up for a $15 time slot and receive a portrait session with OMCA’s expert in collodion printmaking, Brittany Bradley. Don’t miss this exclusive Member experience, only at OMCA! Not a Member yet? Sign up online today and get access to unique events, free admission, exhibition previews and more! Questions? Email us at membership@museumca.org.